Don't miss Rabieng's weekend Dim Sum & Noodle Soup lunch! Made to order, our menu of 30 snack-sized plates is sure to please every palate! No waiting for cold food on a cart! Nam Prik Ong- another deliciously quirky appetizer! A home-style snack dip of Nan Province (North). 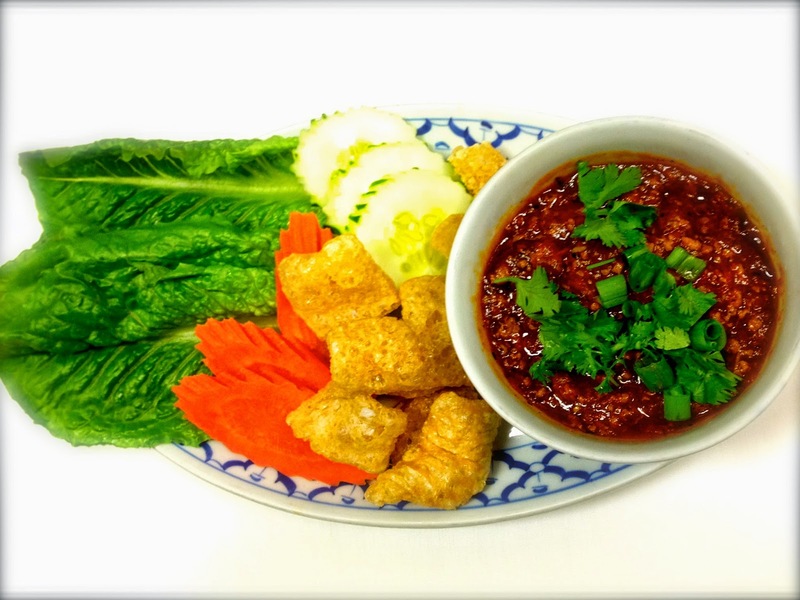 Nam Prik Ong is a roasted paste of ground pork belly, tomato, red chilies, garlic & shallots. Its taste & texture is reminiscent of a spicy Bolognese sauce. Served with traditional sides of crisp carrots, cucumbers, romaine leafs & fried pork rinds for dipping. Don't ask us how the Thai food gods think up such ridiculously quirky, yet delicious food pairings! Just come in and try some for yourself! Come savor a bowl! 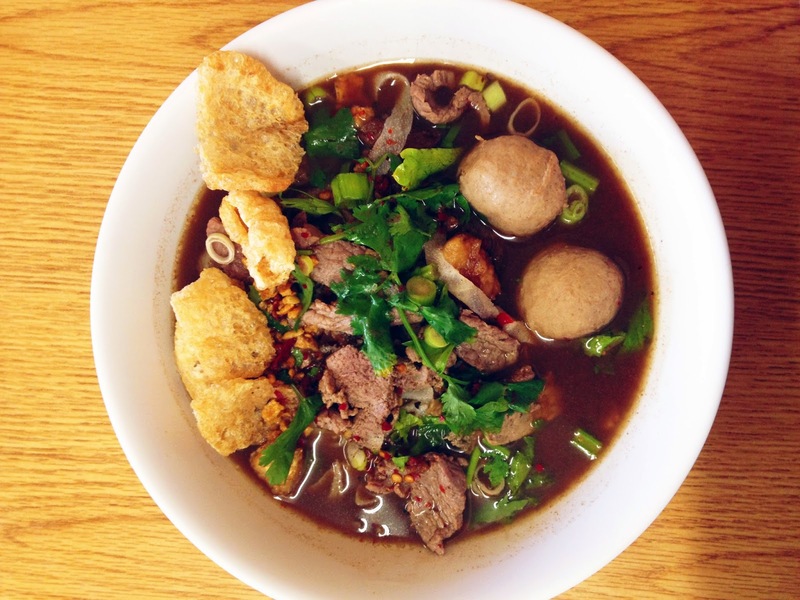 We've added Spicy Beef "Boat" Noodle Soup to our daily lunch menu! The nickname "Boat Noodles" is derived from the fact that this ever popular "meal-in-a-bowl" is the signature product of the famous Thai Floating Market in Ratchaburi, Thailand. At this canal-based market, vendors hawk various products such as freshly prepared food, fresh fruits & vegetables, right out of their boats! The Floating Market is a must visit tourist destination and THE place to enjoy an authentic hot & hearty bowl of "Boat Noodles". If you can't make it to Ratchaburi, just come to Rabieng! 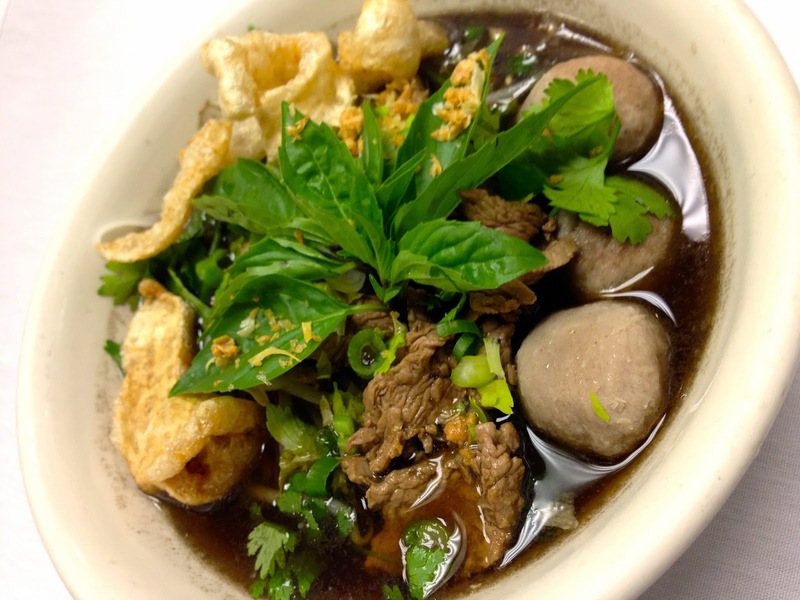 There are many varieties of Thai noodle soups, Rabieng features six of the most popular! Each is prepared according to its own traditional recipe of specific protein, noodle-type, garnish and a composed broth of particular spices & seasonings. Thai noodle soups are served to the table already bursting with flavor! It is customary to tweak to personal preference the four essential Thai flavor profiles (sweet, sour, salty and spicy); just ask for the condiment tray. 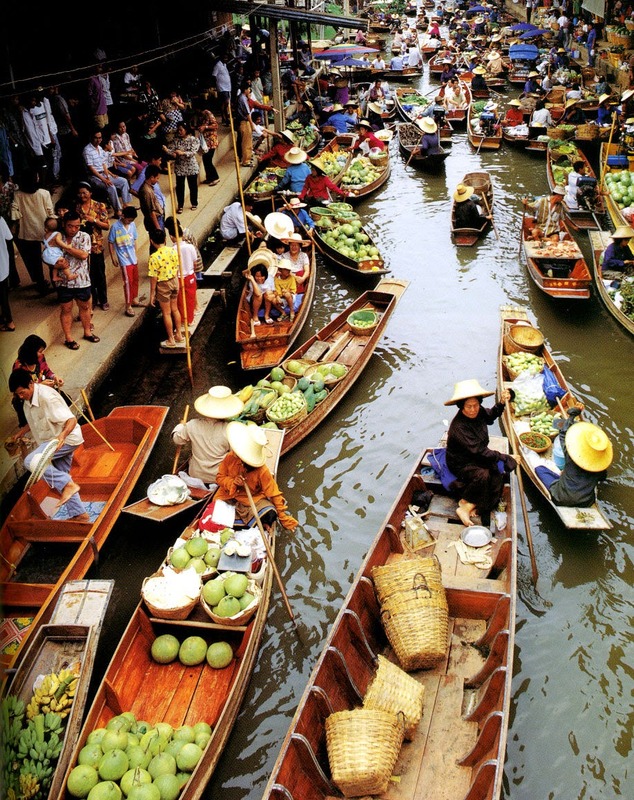 Vendors on the "Floating Market"